This book provides the historical perspectives and context to assist scholars and policymakers in their analysis of the lessons learned from the series of financial crises in this decade. 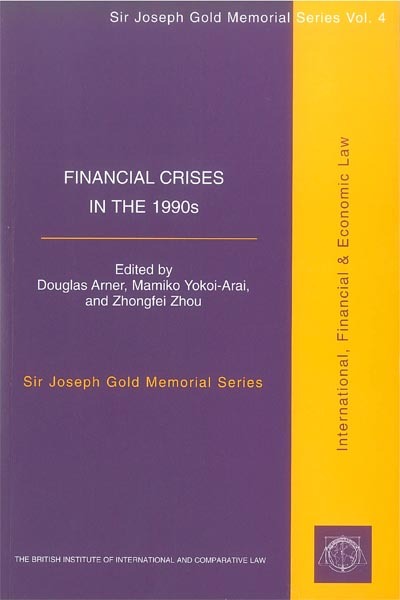 The authors analyse financial crises in over 16 divergent jurisdictions over the 1990s. Through comprehensive discussion, the book unfolds similar causes of crises, whether in developing and transitional countries, or in developed countries. It further indicates that these lessons were unfortunately largely ignored both at a domestic and international level, with the result that a similar tragedy occurred in East Asia. Based on studies of the effects of international contagion following financial crises, the book presents the interaction process between external contagion and problematic domestic structural conditions. It also introduces the necessity of a rule-based system in restructuring the financial system in crises-hit countries. "Financial Crises in the 1990's"